Upon entering the bathroom, give your guests the shock of their lives with our Blood Bath Mat – the ultra realistic horror movie shower scene. 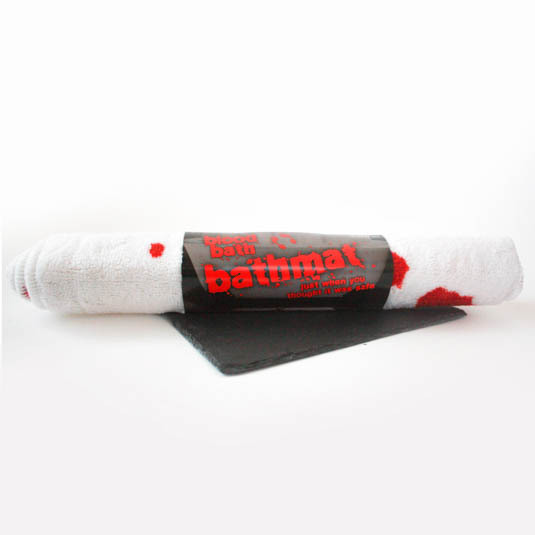 Gruesome, bloody, and absolutely offensive, the Blood Bath Mat is the perfect partner for our famous Blood Bath Shower Curtain. 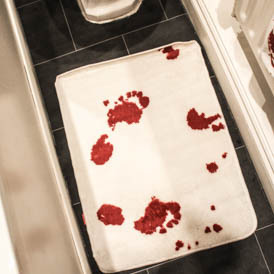 We don’t think that you can ever have enough blood and gore, as you may have guessed, and this terrifying blood stained bath mat, we feel, truly pays tribute to those classic Hitchcock and Hammer horror movies of old. Bring on the blood!